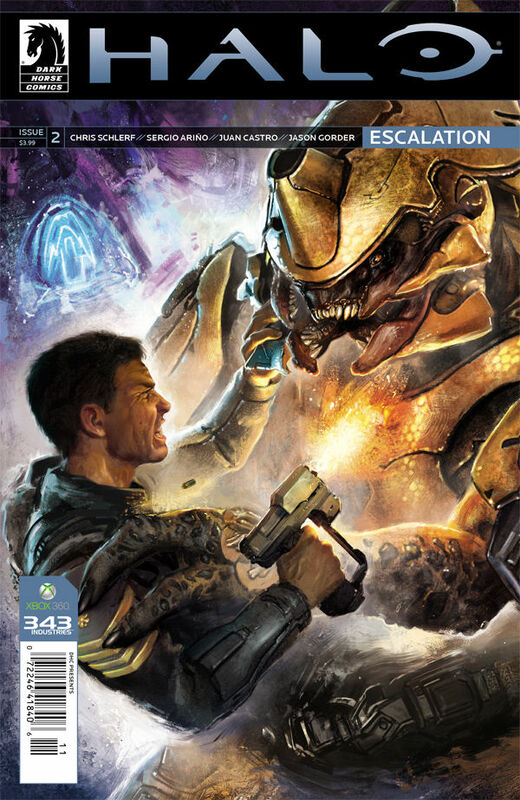 Check out my review of Halo: Escalation #1. The art is fine, not mind-blowing, but certainly not too mediocre. I don’t love the color palette, but it’s very in line with the colors in the game, so I can’t complain too much. The ships and aliens continue to be the most interesting parts, as they’re each obviously lovingly crafted. All in all, I’m really enjoying it and I can’t wait for part three! Also out this week is the Halo: Initiation HC. I reviewed the individual issues, so click here to check out those reviews, but overall, I recommend you pick up the collection!